Live Sports video content – alongside your in-play betting offering – is key to increasing turnover by strengthening your customers’ bet-stimulation, retention and loyalty. Not only can live pictures within your in-play betting offering help increase visit duration to your online or mobile service but it enables punters to follow the flow of a match from a single source – helping to ensure they’ll place even more bets as they watch the events directly connected to your live odds. Our flexible widgets can also enrich your offer when combined and placed on screen in the best way to fit your demands. Our new and fully hosted Betradar Live Player for the Live Channel Online simplifies and accelerates the integration process for bookmakers and provides a low cost deployment and set-up procedure for your business. Betradar’s Live Player can be used as an embedded player next to your sports betting offer as well as a pop-up player. Furthermore, Betradar’s Live Player can be accessed on mobile and tablet devices. Extend Betradar’s Live Player with existing betting and content solutions to create an immersive, fast-paced betting experience that surrounds your streamed offering. You already have a player in place? seamlessly with most of the existing players. No problem. Betradar’s live streams can be integrated seamlessly with most of the existing players. 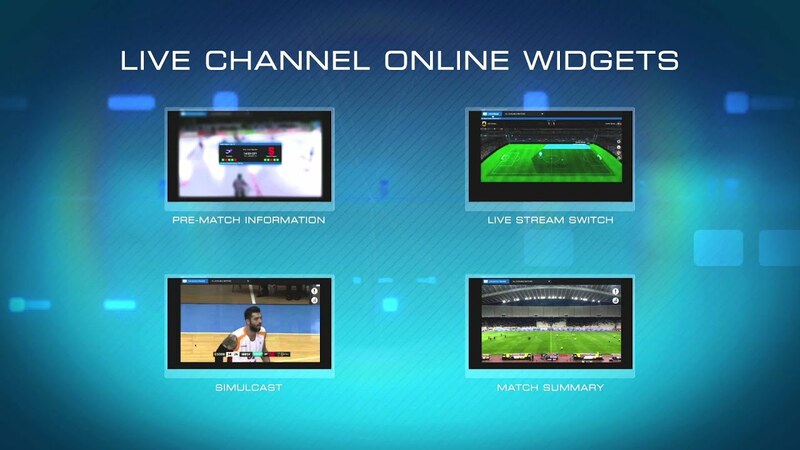 The Balcony is an innovative combination of widgets integrated into the Live Channel Online, easily accesible while watching a game. Combining different widgets like Momentum, Statistics, Live Match Tracker and Simulcast, increases interactivity, enhances customer experience and drives bet stimulation. Easy and quick to integrate, the balcony is available for up to 4 different media players. Deep linking with the betting slip allows quick placement of bets and guarantees a unique user experience.